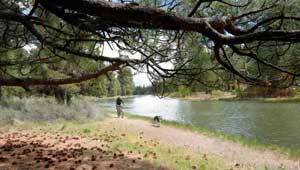 In early 2000s, Deschutes County was one of the most rapidly growing counties in the state. Beautiful scenery, accessible recreation, and abundant wildlife attracted people and business, transforming the local economy, and threatening the very qualities newcomers found so attractive. The Trust for Public Land decided to build a program dedicated to helping save the best of North Central Oregon for everyone to enjoy, and opened a local office at the heart of Bend. Since then, TPL has established itself as a key driver of conservation planning and action in the region, producing the Deschutes County Greenprint and completing the first conservation project highlighted in the report: Miller's Landing.